don't worry… it's almost over. it's been a hectic holiday season for everyone, but it's almost over now. wait… it's almost over?!?! fear not! we've got all sorts of AMAZING last minute gifts and stocking stuffers. whacked out holiday madness SALE!! ALL holiday themed merchandise will be 50% off, with special refreshments for YOU, great gifts for THEM, and enough holiday cheer to choke an elf. come on by to grab a cookie, some coffee, a gift, and a laugh or two. all the cool kids are doing it. small business. BIG deals. the shop is STUFFED to the brim with great finds and incredible sales. stop by this holiday weekend for a RELAXING, stress-free black friday and to help us celebrate small business saturday. We've got some Big Time sale going on here . 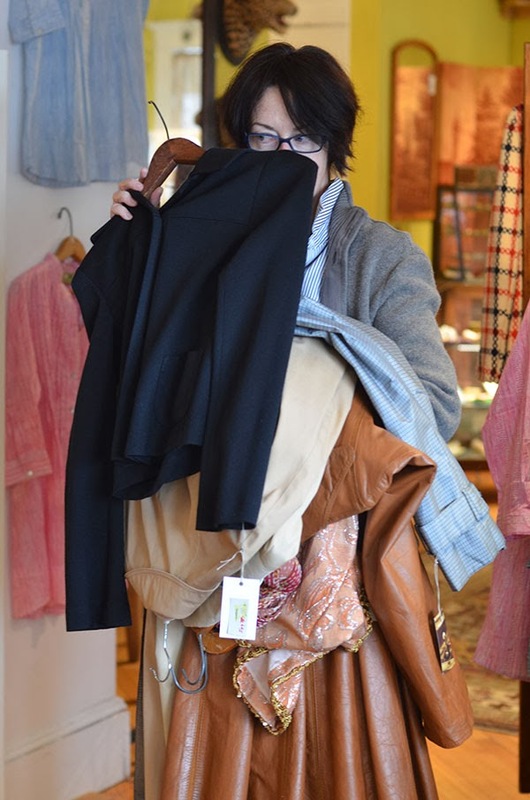 . .
with most all of the vintage clothes in the joint drastically reduced - some up to 70% off! and we don't want to store this stuff sale." If you've had your eye on any of our dresses, shirts, sweaters, and coats, now is the time to come in and swoop down. come in and say the secret code "snow? what snow?"